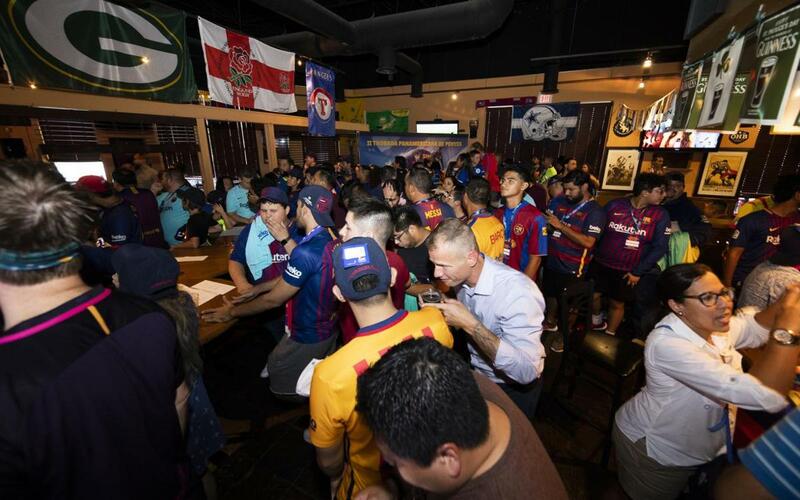 More than 400 people attended the II Pan-American Meeting of FC Barcelona Supporters Clubs this Monday afternoon in the city of Dallas, Texas, where the first team is preparing for its second friendly of the preseason, which comes on Tuesday against AS Roma at AT&T Stadium. The event, held at the Rugby House in Dallas, was attended by executives Jordi Moix, Emili Rousaud and Josep Ramon Vidal-Abarca, as well as the new Managing Director of the New York Office, Xavier O'Callaghan, and the Barça Legend Luis García , who signed autographs and posed with fans for 45 minutes. Supporters clubs from Canada, the Dominican Republic and the United States — including those from Washington, New York, Houston and Dallas — took part. FC Barcelona and the Dallas Supporters Club — which hosted the event through its president, David Goude — exchanged gifts, and speeches were made by Moix, Goude, and García.